These book covers have 2 things in common: they’re all tiny, and they all appeared at this size on the same page of Shelf Awareness, the website that virtually all booksellers go to. Some are strong and interesting even at this size, others are meaningless, both in word and visual. Your cover not only has to attract the eye, create intrigue, and reflect something about your story, it MUST work well on the Internet. 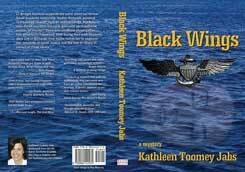 When you examine many book covers, including the ones in this article, you can see how they would look fine in print and on a bookstore table. But that’s not where Indie publishers do most of their marketing. Most book covers look all right at the largest size displayed on the book’s pages on Amazon.com and Barnes & Noble’s websites. That’s not too tough a test, even though one example design below fails. Your name is your brand. It’s key to have your name be readable because that’s the primary ingredient in your brand identity. Here are current novels in the large Amazon size and the Shelf Awareness sizes. 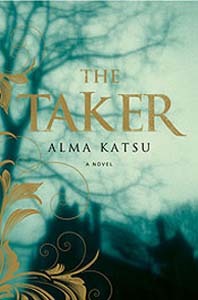 This is the U.K. edition cover for The Taker. 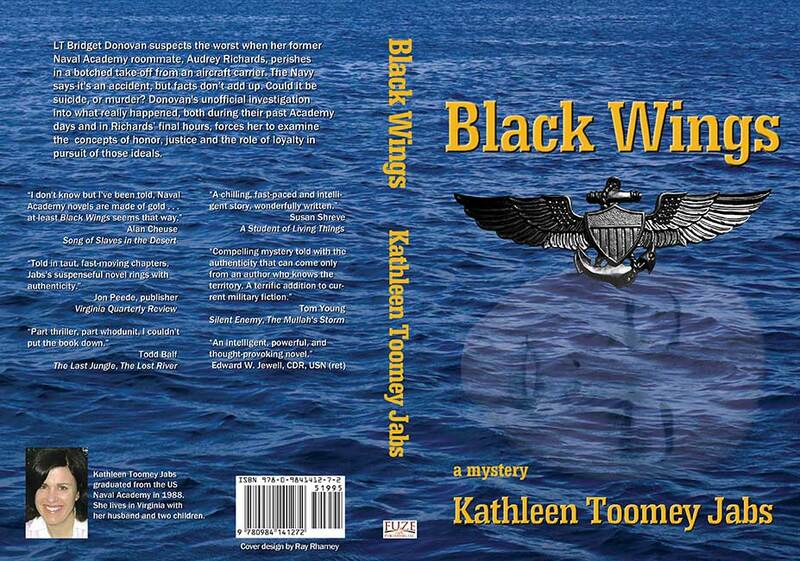 I have no doubt that this cover is gorgeous in print, but it doesn’t serve the author or the publisher well on the web. You can make out “Taker” and maybe “The.” The imagery is meaningless at this size, and there’s no author identity at all. I suspect To the right is the image size that will appear on Amazon. The author name is still problematic. 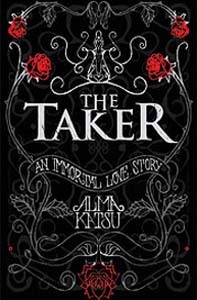 The second The Taker cover is for the U.S. edition, and it has problems at the smaller size, too. Still no author name that you can read, and the title is, at best, “AKER.” It works better in the size for an Amazon page, but the name is still not strong. 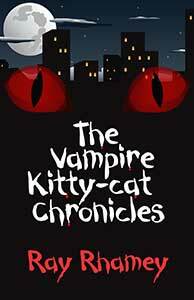 Here is the small size for my The Vampire Kitty-cat Chronicles cover. I don’t think you’ll miss either the title or the author name. It might be worth exploring having two covers: one for the in-store print experience, and one for web pages. But you’d have to make sure that one instantly evokes the other. And, if you can design the print cover to play well on a web page, why not just keep things simple? Below are the tiny and Amazon page sizes for a client’s book. 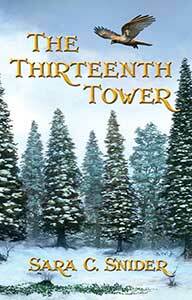 The cover of The Thirteenth Tower evokes the quality of this fantasy and adds a little mystery.